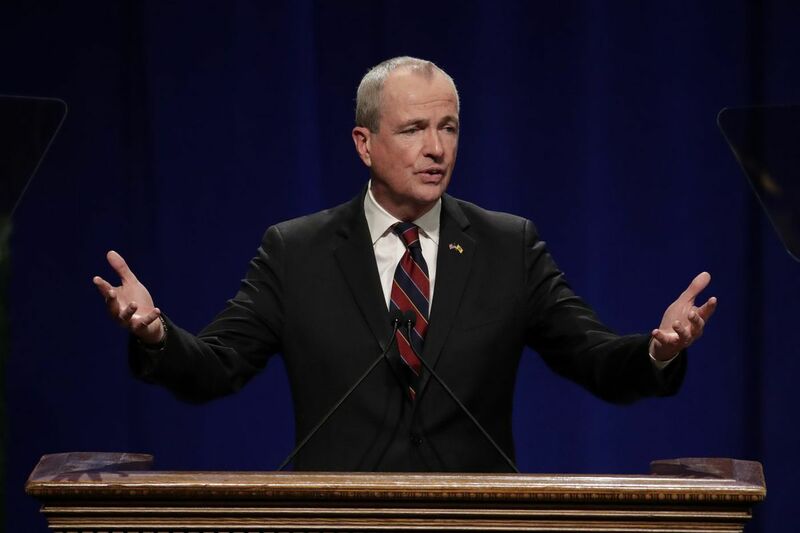 Governor Phil Murphy and legislative leaders have made it a priority to tackle the entrenched inequality that continues to plague New Jersey schools. Achieving beloved community and a just society starts with how we raise our children. Exposure to diverse perspectives and different backgrounds strengthens students academically, socially, and individually. These experiences also help prepare children for adulthood as they develop skills that aren't learned through reading a book or writing a paper. But far too many New Jersey students are being robbed of a quality education that reflects the cultural diversity of our state. The continued racial segregation in our state's public schools holds them back. The time has finally come for leaders across the state – from Trenton to local school boards – to make integrated public school classrooms a priority. School segregation was deemed unconstitutional by the U.S. Supreme Court. Yet more than 60 years later, New Jersey's schools remain among the five most segregated in the country, behind even those in Southern states. This is a civil rights crisis. Research clearly shows that all children – both white children and children of color – learn best in integrated settings. The status quo hampers our efforts to ensure that children of all races and ethnicities grow up to be productive members of a globalized society. We are not providing students with learning environments that equip them with the tools they need to achieve their full potential. The burden of deeply segregated school systems falls disproportionately on black and Latino students. It is unacceptable that more than 60 percent of black and Latino children currently attend highly segregated schools – where they are often further segregated by poverty. Our state has long been a leader in tackling civil rights challenges, thanks in part to a New Jersey Supreme Court with a longstanding commitment to upholding the Constitution and political leaders in Trenton willing to stand up for a strong civil rights agenda. It led the nation in promoting residential integration through the Mount Laurel doctrine. We also provide additional funding for urban districts and schools that serve poorer children, spurred on by the court's Abbott decisions. Now the state must take the next step and build beloved community by confronting school segregation. We already have powerful tools in place to achieve this. The New Jersey Constitution explicitly protects the right of students to attend diverse schools. This is one of the strongest such protections in the country. Yet while the state once focused on school integration – the Department of Education even had an entire office dedicated to this issue – our priorities shifted over time. We must recommit ourselves to robust enforcement of this important civil rights protection. The drive to tackle school segregation runs through Trenton. The state has vast powers to set education priorities and enact policies that ensure integration, from fostering inter-school district student transfers to incentivizing school district mergers or altering school boundaries in order to achieve racial balance. We are heartened that both Gov. Murphy and legislative leaders have made it a top priority to tackle the entrenched inequality that continues to plague our state. Integrating New Jersey's schools will be key to any effort to address the structural causes of poverty and inequality. Integration will also be crucial to achieving many of the goals laid out in the governor's recently released education transition committee report. That report called upon the state to deliver an effective education for all students. Unfortunately, continued segregation means that we are falling far short of that goal. School integration is central to advancing a number of other priorities, including workforce development and jump-starting our state's economy. While we boast some of the best public schools in the country, our test scores have fallen because too many students of color are deprived of the quality education received by their white counterparts. And giving children of all races shared spaces where they can learn together is necessary to prepare them for success in an increasingly globalized world. The level of segregation that exists in schools throughout the state is a travesty. The time to take action is now. Future generations of students must not be deprived of the benefits of learning side by side with people who are different from them. Understanding that a new gubernatorial administration in Trenton provides us with renewed opportunities, I have joined with African American faith leaders across New Jersey to advance a prophetic agenda and focus the state's attention squarely on social justice issues, ranging from housing to immigration to racial equality. School integration must be squarely at the top of our priority list as we move forward. We look forward to working with the governor, his administration and legislative leaders to tackle this issue head on. The Rev. Charles F. Boyer is pastor of Bethel A.M.E. Church in Woodbury.